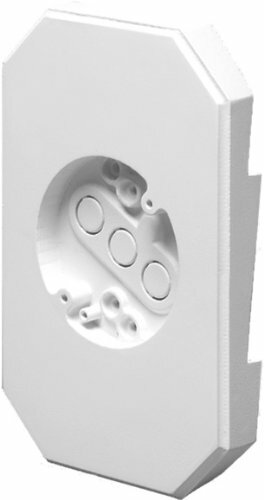 Arlington 8141DBL-1 Siding Mounting Kits with Built-in Box, For 4-INCH SIDING, 1/2\" Lap, provides for a smooth, vertical mounting of light fixtures. You may find the siding mounting block is very easy to install, whether you have siding up or not. For a more complete job, you may also paint the fixture to finish with your desired colors. The siding mounting block is made in the USA, as well as being UL listed. With the Arlington Siding Mounting Block you will receive a NM connector and 4 screws, to ensure you have enough supplies to complete your projects.